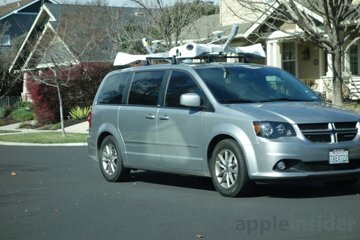 Apple's mapping efforts appear to be growing, as AppleInsider readers continue to spot mysterious sensor-laden vans, just like the ones previously confirmed to be registered to Apple, roaming around the United States. A sensor-covered van in Hawaii, seen by AppleInsider reader Stig. 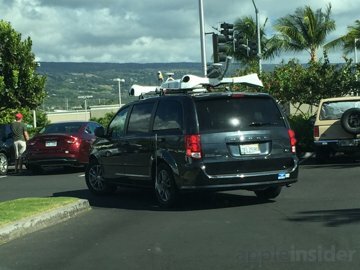 In the past few days alone, readers spotted presumed Apple vans in San Jose; the San Francisco Bay area; Doral, Fla.; the Big Island of Hawaii; and Phoenix, Ariz. They join previous sightings sent from tipsters in Madison, Wisc. ; Coral Springs, Fla.; Richmond, Calif.; New York; and Panama City, Panama. In all cases, the vehicles have been Dodge Caravans featuring roof-mounted equipment arrays. The cars appear to be carrying camera equipment, LiDAR sensors and GPS antennas. Mystery van on Highway 17 in San Jose, seen by reader Shomil. 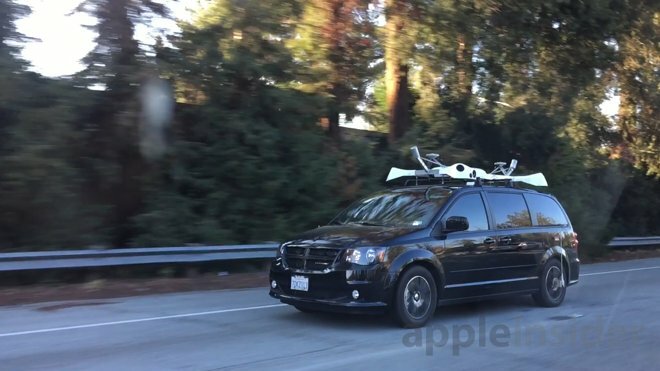 The regular sightings of the mysterious vehicles come as Apple is rumored to be working on an electric car that the company could sell at some point. However, despite the timing, it's not likely that the vans are a part of that project. 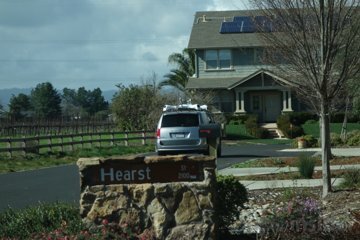 Instead, it's likely that Apple is using the sensors to bolster its Maps service, in a manner much like Google Street View does with its own vehicles on the road. 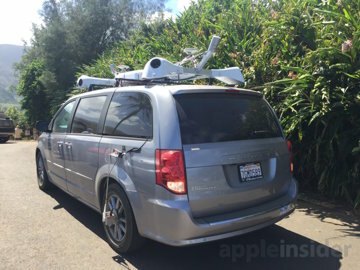 Presumed Apple van in a San Francisco Bay area neighborhood, photographed by reader Paul. By mapping on the ground, Apple could improve the quality of its Flyover 3D feature in Maps. The company could also opt to add its own Street View-type mode, offering more direct competition with Google Maps. Whatever the vans are being used for, AppleInsider reader Shomil spotted one of the presumed Apple vans on Highway 17 in San Jose, while Paul saw a similar vehicle driving in a neighborhood in Livermore, in the San Francisco Bay area. 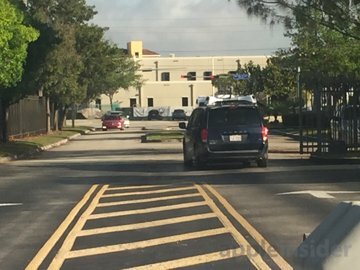 And another van seen near Miami on Monday by reader Leo. Reader Stig actually spotted two sensor-covered Caravans with California plates driving around the island of Hawaii. The light grey van was seen at the end of Highway 270 North, while the dark grey vehicle was spotted at the Kona Commons Shopping Center. Both vans were said to have both a driver and a passenger. 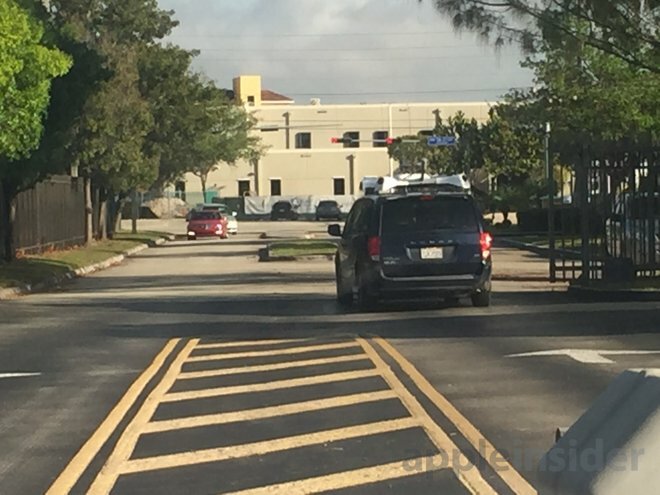 And AppleInsider reader Leo saw another, similar Dodge Caravan in Doral, Fla., Monday morning, near Miami. 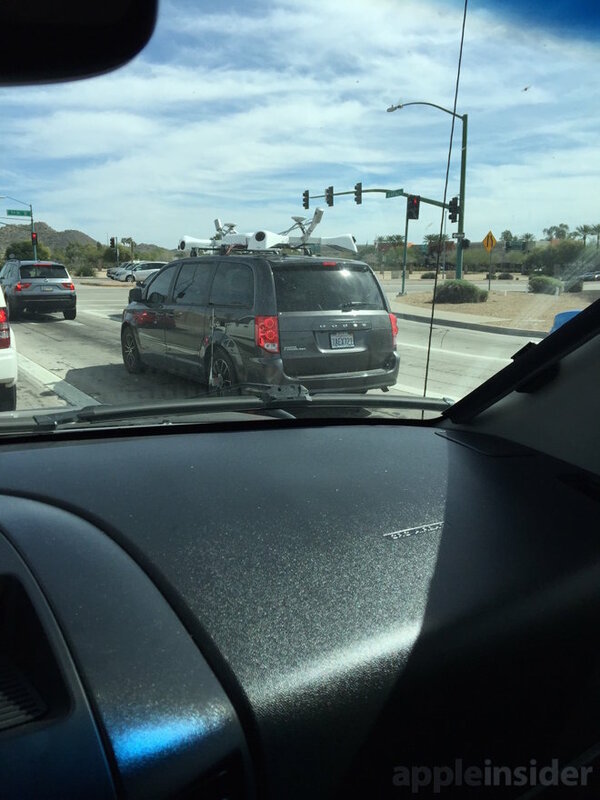 Update: Reader Daniel has seen a few Apple vans in Phoenix, Ariz., including this one he snapped a picture of on Saturday. It was spotted on the 101 and 7th Street.